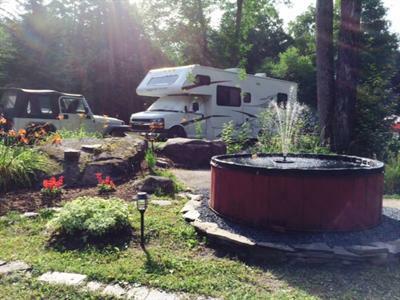 Once you arrive at the campground you'll discover we're not like most other campgrounds. Beautiful grounds and gardens. Open fields to play with your dog, or play "Kick the Can" with the kids. deer, wild turkeys, even an occassional moose and the rest of the wild kingdom are right outside your door. We have fantastic private rustic campsites where the chirping birds will be your morning wake up call. Camping pure and simple! 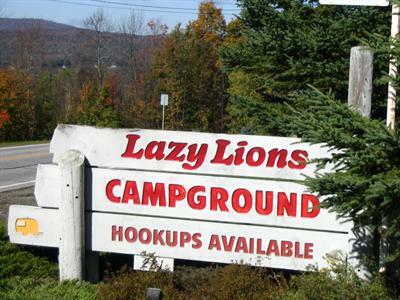 Lazy Lions Campground is pet friendly. 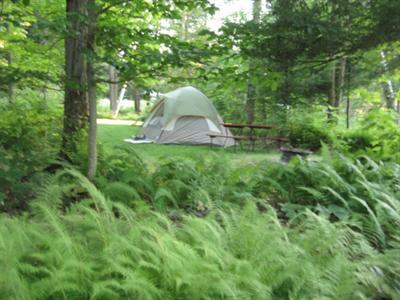 We welcome our campers who enjoy traveling and sharing their camping experience with the family dog and / or cat. To insure all of our guests have a safe and enjoyable time, it is important that you read and abide by the campground rules. See rules on our Rates Page. 2 lean-to's. 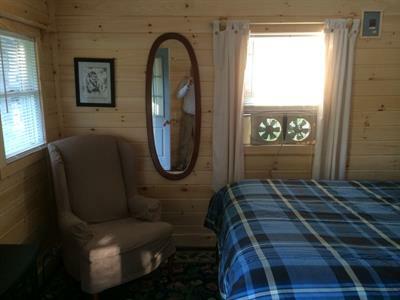 True to Lazy Lion's philosophy of giving you more than expected, our lean-to's are more like a summer cottage. Clean dry floor, screened in, a table and chairs inside, fire ring and picnic table outside. Private settings. Can accommodate up to 6. 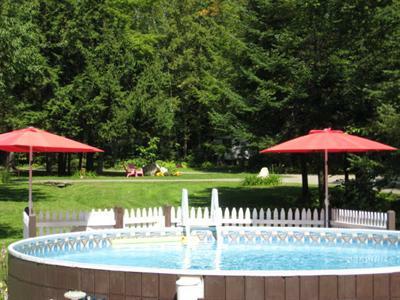 Just $40.00/night for 2 adults and 2 children under 12. Just slightly more than a tent site, especially nice during inclement weather. At Lazy Lions, our goal is to create the best possible experience for our guests. That includes having first-class facilities while keeping the feel of untouched nature. We are proud of our facility and we are excited at the opportunity to share it with you.